Does anyone really just use 1 blade ? (I know there are threads about what WOULD BE YOUR ONE BLADE if you had to choose. For me, I've used 1 blade for the past 5.5 years for 99% of my shaves. I have tried others, and I own others....but they don't see the light of day. Voskhod exclusively for the last 5 years or so. I recently revisited Gillette Silver Blues and think I may make a switch. I'm a serial monogamist when it comes to DE blades. For me, it's Feather all the way! But I discovered the Kai blade this week, and I think they will take that spot since they don't have any glue spot on the blade. In the past, Feather was using just a little glue to hold the warp on the blade. But the last pack I ordered just have insane amount of glue, which I don't like. The fact that the Kai don't have any glue at all and that my first 2 shave was awesome, they may really end up replacing my Feather's soon! Personna blue is my standard. Wizamet Iridium Super Extra Stainless have been my go to blade for the last few years. Feather Pro's for both SE's and DE's. I switch up blades all the time. For me, this is part of the wet shaving journey. Mixing and using different razors, blades, brushes, pre-shaves, soaps/creams, etc. Heck, there are times when I even use, and enjoy, a brushless cream. I've been using Polsilver SI pretty much exclusively for around 5 years. right now i am using astra sp exclusively. i tried a few others but they were just one shave stands, I promise. (03-12-2019, 06:08 AM)georgetoon Wrote: I switch up blades all the time. For me, this is part of the wet shaving journey. Mixing and using different razors, blades, brushes, pre-shaves, soaps/creams, etc. The journey for blades ended very quickly for me. 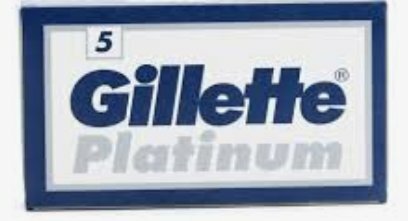 I found the Gillette Platinums a month into wetshaving. When I explore, nothing else compares (for me). Polsilvers come closest... but I still get better, more consistent results with GPs. Nacets feel good to me for one shave, but then they feel like I'm using a flake of rust. 'flake of rust' .. nice! Gillette Platinums; are these the blacks, made in India? The GPs are made in St. Petersburg, Russia. Thanks, Matt. I was confusing the Platinums with the '7 o'clock Super Platinums'. My current blade inventory consists of 530 blades, with five different brands represented. I only use blades once, so 530 blades is less that a two year supply. When I go through my existing supply, I'm going to one blade exclusively. At this point, I'm leaning to either Astra SP's or Personna Lab Blue. These days (i.e., about three years now) I’m pretty exclusive with Israeli Personnas. There’s about 1,000 stashed away in my drawer. The first blade I fell in love with was from the same factory, Crystals, but only about a hundred or so remain. I also have about 100 Lab Blues and 175ish Med Preps in the drawer, but don’t use them very often. The Russian blades don’t do anything for me, nor do Japanese made blades. Perhaps I should try to move them... So yeah, I’m basically monogamous with IPs. (03-12-2019, 05:20 AM)ImJustMe Wrote: For me, it's Feather all the way! If I may borrow Agravic’s serial monogamist metaphor, I am a constant bigamist. After rigorously adhering to the Two Dozen Rule with a variety of blades, I settled down about three years ago to two brands, buth Japanese. Feather and KAI, KAI and Feather. I alternate between the two brands on a per-blade basis. From experience, with my beard and the available water softness here, I get, modally, six shaves per KAI and five shaves per Feather; but I do not change by shave count. I change when the blade communicates that it has reached end-of-service. (03-12-2019, 01:22 PM)Mel S Meles Wrote: ...but I do not change by shave count. I change when the blade communicates that it has reached end-of-service. I primarily use Kai blades and they are the undisputed best blade for me after trying many over the years. Astra SP's were my first steady choice followed by Personna Reds. Probably spent year a piece on those blades. But when I finally tried a Kai it just clicked and now it's been a few years of steady usage. I do mix in a few other blades once in a while. Nacet's would probably be my second best blade. Silver blue's and Voshkod's were good performers as well.